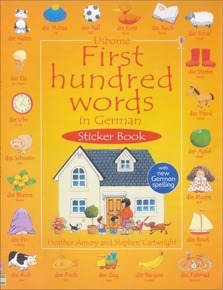 This new edition of Usborne’s best-selling language series is packed with stickers and colourful scenes from everyday life. Children will love matching the words on the picture stickers to the relevant words printed on each page. All stickers are reusable and there is an easy phonetic guide to pronunciation at the back.